There is so much packed into the tiny book of Jude. The way Jude turns a phrase is beautiful and almost poetic. But because of the subject matter, it is certainly not pleasant. 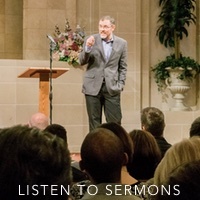 Jude references many events from biblical literature and even some events from literature outside of the biblical canon, all to warn his audience that God will judge the ungodly. This is a subject modern Christians probably need to consider a little more often. 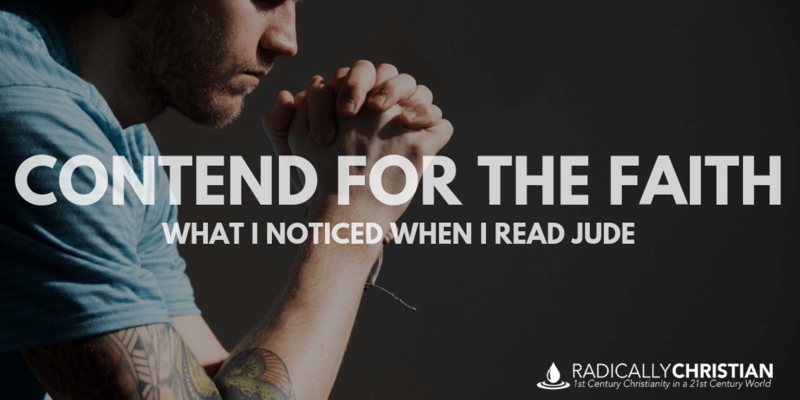 Jude told his audience that his goal for writing this book was to appeal to them to “contend earnestly for the faith that was once delivered to the saints.” That is an important phrase and one we should all take seriously, but it is also a phrase we must let the text define. What does it mean to “contend earnestly for the faith”? We must read Jude’s letter to understand. According to Jude, contending for the faith seems to mean “building yourselves up in your most holy faith” in order to “keep yourselves in the love of God, waiting for the mercy of our Lord Jesus Christ that leads to eternal life.” In other words, contending for the faith means, first and foremost, remaining faithful to Jesus and building up other Christians so they remain faithful. Jude is afraid his audience will fall prey to the wicked false teachers who “have crept in unnoticed” and show up at the church’s “love feasts” and feast with them “without fear.” For Jude, contending for the faith seems to be a battle that is less about offense and more defense. He wants his audience to be aware of these false teachers and be on guard against their schemes. Contending for the faith isn’t about being a watchdog or about beating people over the head. It’s about keeping yourself committed to Jesus and having mercy on others. The only time Jude uses the word “grace” in the entire letter is when he writes about the false teachers “who pervert the grace of our God into sensuality.” The false teachers about whom Jude was warning obviously considered themselves followers of Jesus and recipients of God’s grace, but their lifestyle was one of selfish indulgence and ungodly speech. Jude pulls no punches when he says these people will face God’s judgment. All of these, in one way or another, squandered the gifts of God, pursued their own desires, and were destroyed. I feel this subject is incredibly relevant for modern Christians. There seems to be a multitude of false teachers today “who pervert the grace of our God into sensuality.” They seem to teach that what God wants most is for people to be happy, following their own dreams. In doing so, they excuse behavior like drunkenness, sexual immorality, marital unfaithfulness, and more. We should heed the warnings of this little book and not be drawn away by this type of false teaching. “Anyone who does not have the Spirit of Christ does not belong to him. But if Christ is in you, although the body is dead because of sin, the Spirit is life because of righteousness. If the Spirit of him who raised Jesus from the dead dwells in you, he who raised Christ Jesus from the dead will also give life to your mortal bodies through his Spirit who dwells in you” (Romans 8:9b-11). Also, notice that Jude tells his audience to be “praying in the Holy Spirit.” Christians are supposed to intentionally rely on the power of the Holy Spirit when we pray. After all, Paul also wrote (in Romans 8) that the Spirit helps us when we pray. The Holy Spirit is willing to participate with Christians in prayer, but apparently, we must be intentional about relying on his help, support, and power while we pray. I am not talking about speaking in tongues or picking up deadly snakes and I don’t think that’s what Jude has in mind either. This type of Spirit-empowered life is marked by the fruit Paul describes in Galatians 5, “love, joy, peace, patience, kindness, goodness, faithfulness, gentleness, and self-control.” These are the signs that a human being is walking and praying in the Spirit. Let’s focus on being Spirit-empowered people who are contending earnestly for the faith.